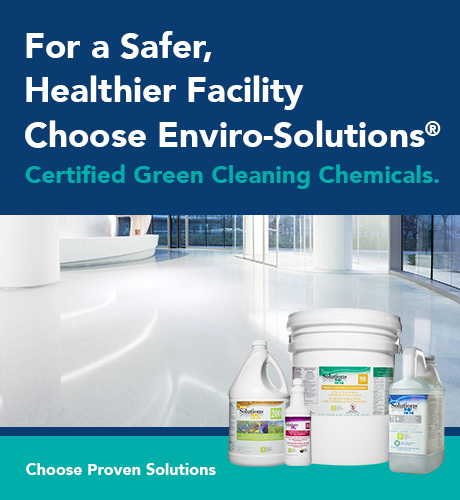 Enviro-Solutions® is a full line of premium green cleaning products and solutions defined by safe raw ingredients, unparalleled innovation, industry insight and simplified knowledge transfer. Our environmentally preferable products are third-party certified, from programs including ECOLOGO, the U.S. Environmental Protection Agency’s Safer Choice program and Health Canada and manufactured in our state-of-the-art, sustainable, Green Seal certified facility. These programs provide a third-party guarantee that Enviro-Solutions products perform and are safer for human health and the environment. We consider ourselves your partner in creating healthier, safer spaces for future generations. 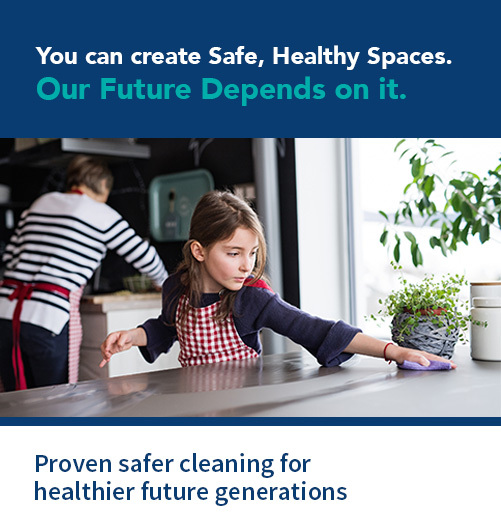 That’s why our line of effective, healthy and environmentally responsible cleaning solutions are constantly being improved to meet the ever-changing needs of our end users and the spaces they clean. When you succeed, we succeed—it’s just that simple. At Enviro-Solutions, green and sustainable cleaning means more than safe chemicals. Through decades of experience, we’ve uncovered what’s important to our customers and responded by developing simplified programs that include a host of customer-friendly features that will ensure your success, while protecting human health and the environment. Our solutions are streamlined and efficient, reducing waste, cost and time. Each program is supported by simplified knowledge transfer, training and resources, plus access to our excellent customer service team, to ensure your success. We’ve also developed cleaning programs to match the distinct needs of each facility type through our market segment focus. It all helps provide efficiencies that tighten up your cleaning program, eliminating waste, confusion and excess cost. Looking to try our products? Contact us today. Sign up for our newsletter to be the first to receive information from our team of industry experts, like new cleaning innovations, sustainability initiatives and the latest cleaning trends and technology.